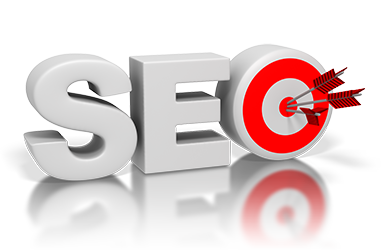 Search Engine Optimization, or SEO, is the main marketing strategy for a successful Internet business. At Sterling & Pope, we understand this powerful technology and are ready to put it to work for you! Let us increase your web exposure through powerful keywords, driving more search results to you. Through this process, we will enhance your website, giving you a more dominate spot in the marketplace. Search engine optimization is a vital part of Internet marketing, and Sterling & Pope is a leader in its field. Top placement in web searches increases traffic and click through rate. SEO is one of your most valuable forms of advertising. We understand the process of tailoring your website to search engine algorithms that are constantly changing and evolving in today’s social media realm. We ensure your website will only contain the most relevant keywords, tags, links, and other necessary content to provide your business with top Internet search results, rising high above the competition. Let the experts at Sterling & Pope optimize your website and analyze your competitors to create the best possible experience for your business. Call us to be discovered today! Having a strong online presence is a must for any business to succeed. As soon as you receive the benefits of our Sterling & Pope world class Reputation Guard system, the next step is to help your website to be found online. Call Sterling & Pope now to learn more!